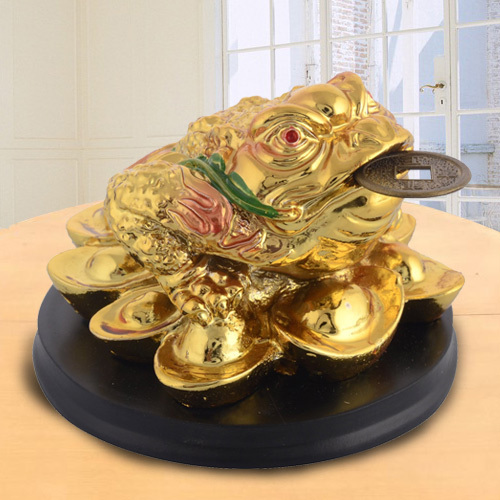 Money Frogs are said to draw wealth to your home or office. This mythical creature is said to appear every full moon near homes that will receive good news of increased wealth or monetary gain. They are called "Chan Chu" in Chinese but are more commonly known as the Money Frog. In ancient China, these mythical frogs are believed to be the bearer of good fortune, which is why you see them bringing a string of coins with them.